Hip pain is a common chronic condition that can stem from a variety of issues, including spine and groin injuries. 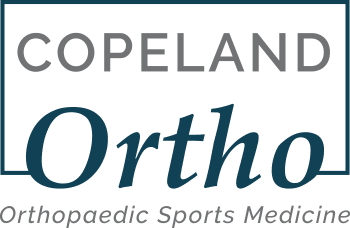 Dr. Marilyn E. Copeland, a board-certified orthopedic surgeon and fellowship-trained sports medicine specialist at Fondren Orthopedic Group in Webster, Texas, can identify the cause of your hip pain, help you recover, and regain any mobility you may have lost. If you suffer from hip pain and you’re in the Clear Lake or Greater Houston area, call or request an appointment online today. What are the most common sports-related hip injuries? Your hip is one of the most robust areas of your body, and it needs to be: It supports your weight and provides significant mobility for your daily activities. Surrounded by the strong groin, thigh, and back muscles, your hips can withstand quite a bit of punishment without incurring an injury. Are women at greater risk for hip pain? While ACL and knee injuries are among the most common sports-related injuries for women, women also experience hip injuries more frequently than men. The reason for this isn’t clear, though women’s unique anatomy and flexibility may play a part. Women have wider hips than men, which affects the alignment of their legs and causes a more “inward” motion during movement. Women also favor different muscles in the hips and legs when performing physical activities, leading to a higher risk of muscle strain or tears. Women tend to be more flexible than men, which can lead to hyperextension and increased muscle strain. Women are also subject to physical changes from pregnancy or gynecological issues, which can produce stress or pain in the hip region. What are my treatment options for hip pain? Since hip pain often results from injuries elsewhere in the body, Dr. Copeland first provides a complete diagnosis of your pain to understand its cause. If your hip pain is the result of inflammation or strain in another part of your body, such as your groin, she’ll address this underlying cause. If your pain originates in your hip, Dr. Copeland may recommend minimally invasive arthroscopic surgery to correct the problem. For sprains or other minor injuries, physical therapy and muscle strengthening exercises can help reduce pain and restore your mobility. If you’re in the Clear Lake or Greater Houston area and you’re experiencing chronic hip pain, call or request your appointment online today.